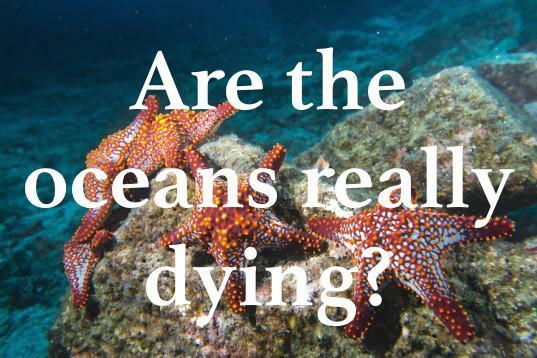 Are The Oceans Really Dying? Whenever environmental doomsayers run out of arguments, they turn to the sea for hope – or rather, fear. Fish stocks are collapsing, and if climate change doesn’t get us, ocean acidification will. But how true are these claims? It may not surprise you to learn that I have a lot of conversations about the supposedly disastrous impact on the planet of human civilisation. As a defender of said civilisation, I’m often at the receiving end of disdain and even hatred from those who believe humans are a plague ravaging the planet. Often, once the most obvious myths, exaggerations and misconceptions are exhausted, my interlocutor retreats to the water. That is, they point at the sea as the final proof of humanity’s depravity and guilt. After all, what is more obvious than the collapse of fish stocks, and the fact that this time next year, the ocean will be vinegar? It is a matter of record, if you’re a regular reader of my columns, that exaggeration is common among green-minded people. There are good reasons for this. People tend to believe environmentalists because they appear well-intended, despite the fact that green groups have a marketing job to do. Their careers, like those of any company staffer, depend on meeting revenue targets. Environmentalists are not immune to using hyperbole, lies of omission, red herrings, and appeals to sentiment, fear, guilt, reward or empathy. These are the exact same techniques that a corporate spin doctor would use in advertising. True, many environmentalists are motivated by a genuine belief that they have science on their side, and that they are doing something good for society (or, if they are more misanthropic, for the earth). However, this is also true for many corporate employees. Few people knowingly spend their lives doing what they consider to be evil, but motives and good intentions don’t matter half as much as facts and consequences. If green exaggeration is so common, what about the claims about places most people don’t actually go, like the ocean? Are they real concerns, or are they mere bogeymen to scare us onto the straight and narrow path of green religion? It is easy to believe that the crises are real. After all, the sea, unlike land, is for the most part not owned by anyone. That means that it is subject to the tragedy of the commons. Because everyone has to look after it, nobody does. But, if the media are to be believed, things are much worse than having to order tuna-friendly dolphin at the sushi bar. No lesser authority than the New York Times warned that “ocean life faces mass extinction”. Well, are the oceans on the brink of a mass extinction event, or are they mostly intact because they’ve been spared carnage? Pick one. The panic of popular science writers (and some scientists) notwithstanding, it appears many of the scares related to the oceans have been overblown. That is the finding of a recent study entitled “Reconsidering Ocean Calamities”, by eight scientists led by Carlos Duarte, published in the journal BioScience. “News headlines convey the notion that the ocean is in [sic] imminent risk of ecological collapse,” they write. However, upon testing the accounts of calamities, it turns out they sometimes lack robust evidence. The authors also point the finger at marine research scientists themselves, who they say “may not have remained sufficiently skeptical”. The authors consider calamities as events that satisfy three criteria: whether they can be attributed to human activity, whether they have spread to a global scale, and whether they cause severe ecosystem damage. For each criterion, they cite examples of issues for which there is robust evidence, equivocal evidence, and weak evidence. In the first category, we find that fisheries depletion can be attributed to human impact, as expected, and that this also has a serious impact on marine ecosystems. However, the authors disagree that this means, as one CNN story would have it, that the oceans are “on the brink of collapse”. Harmful algae blooms like red tides and associated hypoxia (depletion of oxygen), are often attributed to human activity. However, the paper finds that the evidence for this claim, or even that it is a global problem, is ambiguous at best. Ocean acidification is the notion that increased atmospheric carbon dioxide levels causes an increase in carbonic acid, which in turn causes serious damage to ecosystems because it inhibits calcification in creatures such as corals, molluscs and crustaceans. Duarte et al. acknowledge that there has been a measurable decrease in ocean pH, and that it is widely expected to reach levels at which it may harm some sea life by the end of the century. However, they dispute claims such as those made in the Seattle Times article cited above, that it has already “killed billions of oysters”, mussels and scallops. The scientific evidence they cite points to other causes. 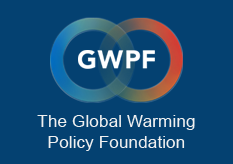 The scientific community plays an important role in identifying threats to human welfare and the environment, and in researching remedial actions. However, overstating threats or misattributing their causes leads to unwarranted public fear and to the misallocation of the scarce resources dedicated to mitigating these supposed dangers. If that isn’t enough of a deterrent to alarmism, there is the risk that scientists, and the media through which they often communicate, lose credibility, and become seen as the boy who cried wolf.